Writing a book is like creating an entire new world. Only you use words instead of entities, punctuation instead of rivers and mountainous peaks, and characters instead of people – and you’re no God either. Writing a good book however, is a whole new ballgame. Writing a good book requires patience and skill to the absolute ultimate level. It takes so much time and effort and sheer resilient, literary brilliance that most people on this planet simply cannot do it. That is why it is rumoured that God created this world and not some random writer-hermit. There is a certain seven-letter word that all writers loathe so much they probably wish it didn’t exist. I know what you’re thinking: a writer loathing a word is like a fat dude loathing bacon-cheese fries – it just doesn’t sound feasible. But when that word is editing, I’m almost certain that you’ll all understand the precise meaning behind my slightly socially-satirising simile. I’m sorry to have to tell you this (and if you haven’t figured it out already, seeking publication is probably not for you,) but if you’re looking to be serious about writing a good book, that means you’re going to have to get extremely serious about mastering the art of self-editing. It won’t be simple and it won’t be easy. It will be hard. Very hard. But with some perseverance, some patience, a lot of laser-like focus, a burning need to succeed, a burning (and preferably, ridiculously big) mug of coffee and of course, a little help from the pros (that’s where me and my wonderful list comes in,) you’ll be just fine. Trust me. It’s what I do. Of course, I don’t literally mean run away. I don’t mean take out a bank loan and place yourself in even more debt, just so you can take an all-inclusive cruise around the Bahamas. That’s (sadly) not the type of break I’m talking about. What I’m referring to is what I like to call a writer’s break. It’s entirely self-explanatory too: you take a break from your writing. Once you have finished that fun and loveable first draft (which is sort of like the honeymoon phase in a new relationship) you’re going to want to set it aside and not take a single peak at it for as long as you can manage. This is, of course, after you have self-crowned yourself as an absolute warrior on your social media platforms for finally finishing your first draft. Truth is though, you’re not finished. You’re not even close. In actuality, the real work is only just beginning. And the first step in that real work is to set aside your manuscript and do whatever you can to prevent yourself from looking at it – take on a new project or write some poetry, whatever it may be. In doing this when it comes time to begin your editing process, this work will be a lot fresher to you, simulating the way a reader might feel when reading your work for the first time. This creates an unbiased overview of your work, and allows you to edit with a level head. There’s nothing worse than trying to amend errors and fix holes in your sub-plot when your mind is still a whirlpool of words that could have been beautiful and phrases that could blossom; of characters that could have been tremendous and words between them that could have summarised life. The artistry is gone, the creative process is over. It’s time to get your editing head on. And there’s no head fitter for editing than a clear one. This is the first thing I do when taking on a new project. I give it an initial read-through, correcting any and all spelling and grammatical errors, taking notes as I go. It’s essentially just the proofreading stage, a time in which you fix the minor errors before moving on to the bigger picture. I find that amending these small, easily-fixable errors as you go is the easiest way to go about it. Fix them as you spot them, that way you won’t have to try remember them all for a later date and (if you’re anything like me) it’ll stop you from losing your mind. I’m an editor. When I see glaring errors, I fix them. In essence, step two on this list is basically just a proofread with an added dash of preparation. Make sure to have your notepad and pen at the ready, so that you can make notes on the potential pitfalls of your work. Things like plot-holes, inconsistent character behaviours, inconsistencies in voice, timeline confusion, overuse of certain words, passages of text that look as though they were written by a pre-schooler – essentially anything that hinders the quality of your book. Once you’ve taken notes of all these things (and I say all these things because there will be a lot,) it makes your life so much easier in the next few stages, and you’ll be glad you did as you were told. It always pays to prepare, and preparation is what I do best. So you’ve outlined your plot from start to finish, and have identified all of the possible errors in your manuscript. Congratulations. But to be the bearer of bad news (if only that was a profession…) you haven’t. You haven’t at all. This is because there are still so many errors in your manuscript. Errors you don’t even know exist. Errors you aren’t yet ready to face, that you won’t ever feel capable of facing. Things that even the best of the best self-editors will overlook. Things like a character who only features in three scenes, having blue eyes in her first appearance and hazel eyes in her third, or a your protagonist’s car miraculously changing make and model, or even the building you just described suddenly losing the cracked red bricks and sprouting blemished grey ones instead. These are the errors you need to look out for. And that’s bad news for you, because these are also the errors that are the hardest to spot. You’re lucky though, because I have developed an excellent solution to this problem. When you’re going through the proofreading stages and taking your notes, make sure to create a list of all your characters (providing they appear in at least two different scenes) and describe what they look like. Take notes of their hair colour and style, their clothes, their eye colour, their jawline, their mannerisms, how they talk – literally everything about them that could come up as an error – and compile it all together. It could also be a good idea to do this with the descriptions of key buildings too. This way, when you’re reading through your manuscript, whenever a character is described you’ll be able to check that description against the one you have written down. If something wrong crops up you’ll know it right away, and won’t be left trawling through pages and pages of jumbled-up text to find out if their hair is blonde or brunette; or if there is a reason behind them changing outfit. You’re welcome in advance, because I just saved you a lot of unnecessary headaches. And subsequently, a whole lot of money on aspirin. The most important thing to do now that you have a detailed list of all the errors in your manuscript is to fix those errors. I bet you never saw that coming did you? Work your way through your helpful little list, addressing all of the flaws you discovered. I usually find that the easiest thing to do in this instance is to fix the more daunting mistakes first. Say for example, if you discovered a chapter that makes about as much sense to you as Chinese algebra – a chapter that contains a Grand Canyon-sized plot-hole and a truckload of messy and jumbled paragraphs – I’d make sure to address that chapter first. When working through your list following this sort of strategy, you are getting the most frustrating tasks over and done with first, meaning you have less chance of giving up all together on your novel when the self-editing process inevitably extinguishes the last of your burning flames of desire. Now my little editing protégé, work through your list like this, crossing off all of the things you need to fix as soon as you’ve finished fixing them, and then once you’re done with that I’ll see you at step five. I have a feeling that you’re really going to hate me by the end of this, but that’s okay. I’m not here to make friends (at least not entirely,) I’m here to make your book the best book it can be before it is put in front of the eyes of agents and publishers. And if in doing so you start to dislike me a little, well hey, I can live with that. Lord knows you’ll be disliked way more by the agents and publishers that you submit to if you present to them a poorly edited, mistake-riddled book. Step five is just the same thing again. Go through your book proofreading it, making your list as you go. From there, once your list is made, amend the issues and tick them off along the way. What you are left with following this (aside from the inevitable migraine and lack of wine in your booze cabinet) is a polished manuscript that has been scrubbed of all the errors that you are capable of finding on your own. Hey, nobody said it was going to be fun. That three-letter word’s existence ceased the very second you placed the final period on the final line of your first draft. In this read-through it might be wise to consider focussing on the more intricate details, because by now any huge errors should have been dealt with. Pay close attention to the structure of your sentences, making sure all of them read smoothly and don’t get jumbled. And also focus on letting your voice shine through. I always find that a writer’s voice is revealed the most in the parts of the book they tend to favour, so if there’s a certain chapter or scene you like best, then chances are that is the finest example of your voice at its most unique. After finding that key part, you’re going to want to hone in on it and make sure that it shines just as brightly in the rest of the book too. In this proofread you’re going to want to format as you go, sticking to industry standards and regulations – you can find a guide on those here – and making sure to include indented paragraphs and proper paragraph breaks – especially when it comes to speech. There’s nothing worse than reading a manuscript and having to rack your brains wondering which character is saying what. Proper paragraph breaks make speech a lot easier to read, so don’t get sloppy with them. Make sure everything is as close to published-book-correct as you can get it. I would also recommend going through this read-through reading the sentences aloud. This will make it a lot easier for you to put a finger on those pesky added words that don’t quite read well, and will help you to write realistic speech too. Removing the clutter and overused words is the important part here, and once you’ve managed to trim your book down so that it tells the exact same story only in fewer words, you’re that much closer to a winning manuscript. Many people who write these sorts of guides just tend to provide you with a spruced-up list of generic spiel. A list that is essentially designed to make the editing process sound less complicated than it actually is. And that’s all fine and dandy – if you want a sloppily edited manuscript that is. The truth of the matter is that editing is difficult. It’s a lot of hard work. It’s a lot of hard work that most people don’t quite understand, and never will until they attempt to write a book themselves. Anyone, given enough time, can slop eighty-thousand words onto a page. But not everyone can fashion those eighty-thousand words into a bestselling novel. That’s the imperative difference here, the difference between writing and editing. And you know what, since I’m feeling nice, and since editing is so damn difficult, I’m going to throw in a step seven to this list. Now that you’ve self-edited to the best of your capabilities, you’re finally ready to seek out the guidance of a professional fiction editor. I am a firm believer of consulting a professional before sending off your manuscript to an agent or publishing house, and that is because editors will make your book the best book it can be. It is a great idea to self-edit your book as thoroughly as you can prior to submitting to an editor too, because then you’re getting your money’s worth as your editor won’t have to sift through silly spelling and grammatical errors whilst working on your book. As editors, we like to focus on the more important aspects of your book, such as the plotline, the character development and the voice of the writer. Don’t get me wrong, proper spelling and grammar is obviously very important, but those things can be fixed by the writers themselves. I’m not saying that you need to go through an editor in order to seek publication. I’m not saying that at all. There have been – and will be many, many more – writers whose manuscripts got accepted without the help of a professional editor. Editors are there simply as a means to add some finesse to your work. Think of an editor as a tin of wax for your car – they’re there to give your book the finishing touches, to make it shine under the harsh light of a revising eye. They’re there to make your book the best book it can be, and in doing so, give it its best possible chances of impressing an agent or publisher. It’s like I said at the start: writing a book is like creating an entirely new world. And that, my friends, is why editors are the Gods of fiction. I’m currently running a promotional offer that is available to all first-time clients. 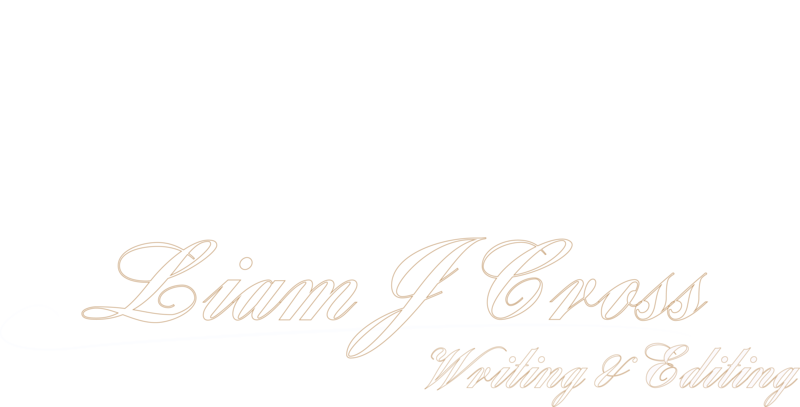 My offer includes a 15% discount, a free telephone consultation (which you can schedule via the form below) and a free 2,000 words sample edit, to familiarise you with the process and the way things work. Using the contact form below, please state your preferred time for a scheduled telephone consultation and I shall be in touch to confirm.